The story is set in England and Greece about five years after the Greek war of independence from the Ottoman Empire. 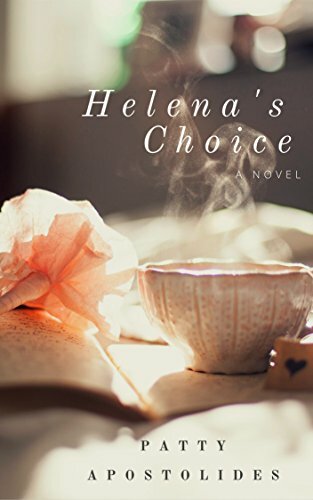 Helena’s Greek mother is dead, and she has been raised as a proper English girl by her English father. But when he dies intestate, Helena’s fortune changes. She struggles for a while to support herself in England as a governess, but eventually decides to go to Greece to claim her mother’s property. Helena’s father was an amateur archeologist who had been digging on that Greek property and had found some interesting artifacts. When Helena arrives, she meets a returned Greek archeologist who is digging on her mother’s as-yet unclaimed property. Will Helena’s love interest remain the English doctor she had known since childhood or shift to this Greek archeologist? And will they find anything of value on her mother’s property that Helena can use to support herself? Helena experiences a very interesting period of Greece’s history. King Otto of Bavaria has been made king of Greece by the European powers and is struggling to gain control. Valiant bandits are still roaming the countryside after distinguishing themselves in resisting the Ottoman Turks. The novel is good at picturing what it might have been like to live in those times. Yes, there is a vague plot connection between the Helena Cadfield of the novel and the Helen who was abducted by Paris in Greek myth. This adds a somewhat timeless perspective to the story. The many specific details of daily life in both England and Greece show an author who is quite familiar with both cultures. She tells the story in a refined, elegant prose that is a pleasure to read.